The second week of the summer school, brings with it some new courses. 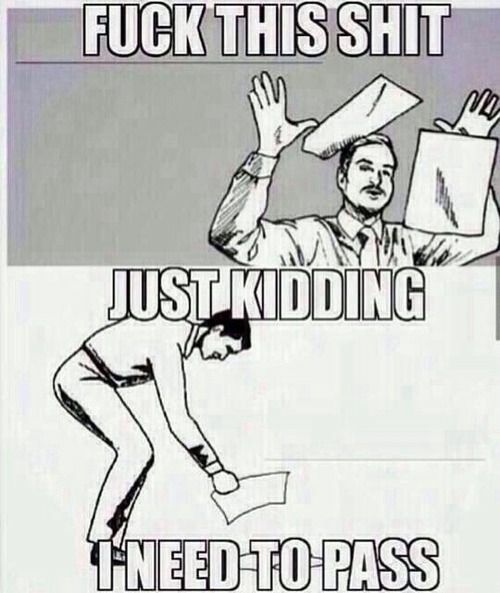 Such as Accounting, Design Thinking and Marketing. The design thinking team busy at work, preparing for the next class. In the evening students where given the opportunity to use the reserved rooms in the Havana Libre Hotel to have some guided study time. In this period students where able to go over any material that they did not understand, and to review the things that they did last week. There was also a Cuban spanish class which was taught by a fellow alumni. So since it is the weekend, students have some free time to travel and explore Havana. So what where the students upto? On Saturday there was a trip to the los Jardines de Hershey. Yes, by Hershey we mean Chocolate Hershey. This trip was organised by ISSEM and students and alumni could take part in excursion. Also on Saturday some students headed out to the Playa del Este. The ride to the beach is about 20 minutes by taxi and students carpooled together. After, some tanning and sipping on agua de coco Cuban students showed us what Havana’s hip night life is all about. 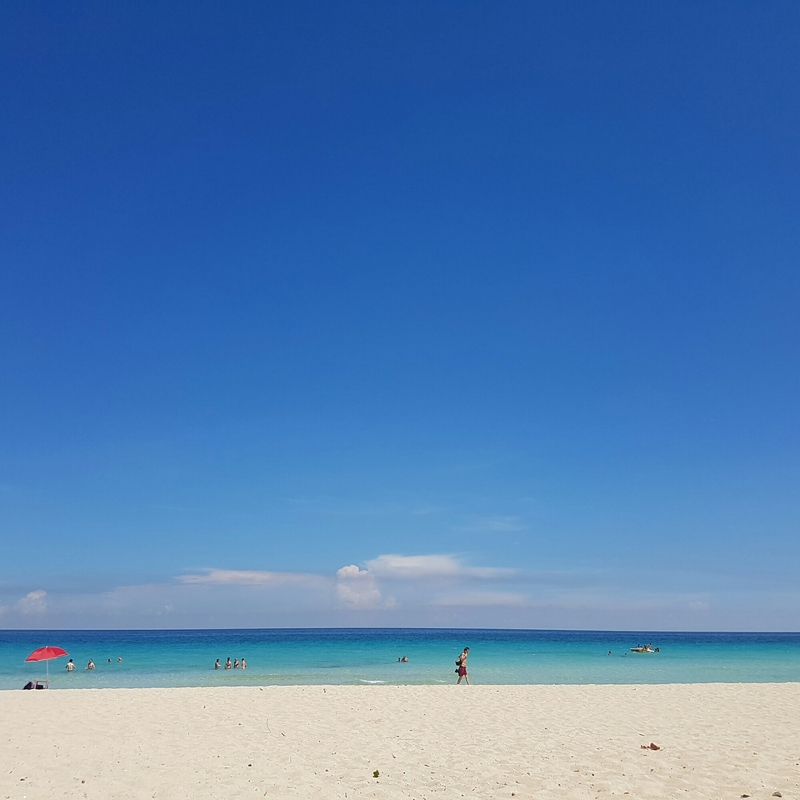 On Sunday, Cuban and German students all went to the beach again and had a nice chill beach day. In the evening the ISSEM office team had a wonderful dinner together. Other students, also used the weekend to travel to towns nearby to Havana . For example Viñales, this is a small town located two hours away from Havana. It is known for its tobacco and cocoa plantations. The panoramic valley scene of the town, resembles a person lying on his/her back. 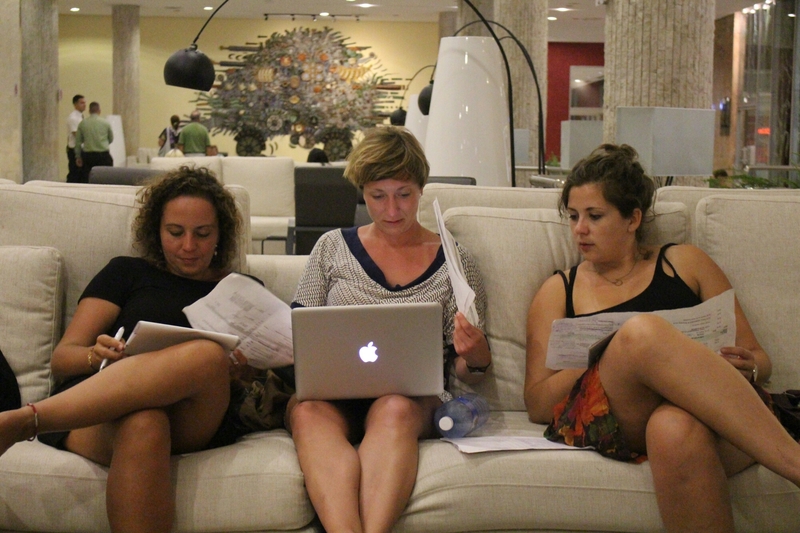 Classes have now been transferred to the hotel Habana Libre. The transition was smooth, and if students are still not sure where their classes are, check the notice board at the first floor outside the ISSEM office at the Habana Libre. In general, the notice board is full of useful tips and suggestions and information. Students can also pin up their own recommendations and communicate through the board. In the evening students could participate in a movie night. The movie Strawberry and Chocolate( Fresca y Chocolate) was screened which is a film based on the short story by Senel Paz who also wrote the screenplay for the movie. The movie is set in Havana, and deals with different social phenomena. 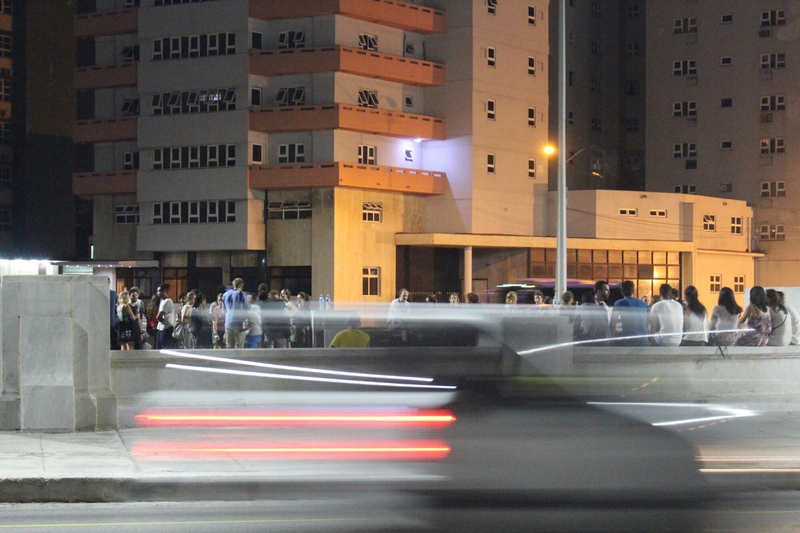 After that students headed on out to the Malecon for a drink, and to enjoy the vast night life that Havana has to offer. 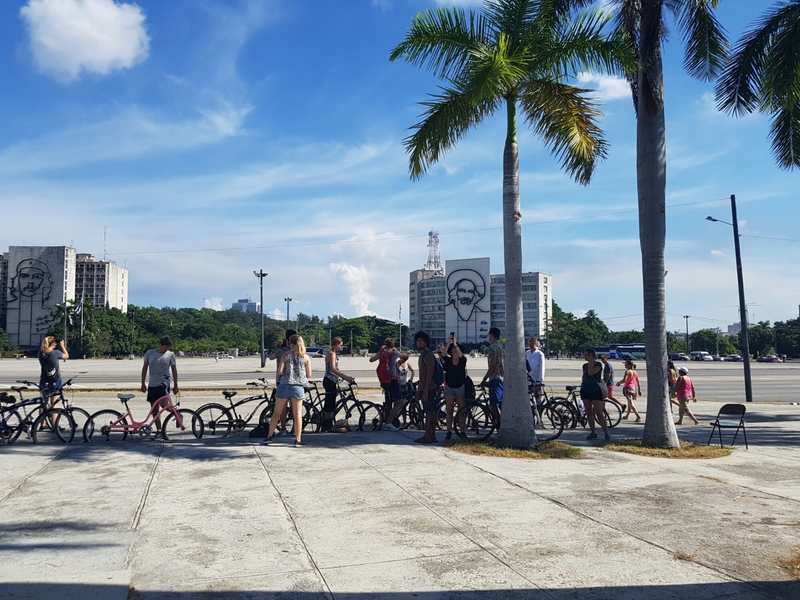 At 8:00 am a group of students headed out for a bike tour through Havana. I personally perticipated in this tour and i can only recommend it. It is a great way to get to know the city. 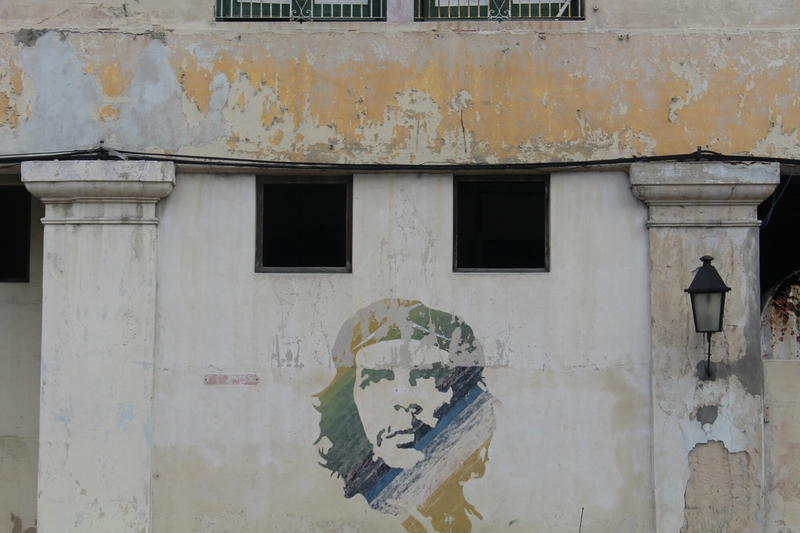 You can also learn a lot about Havana. Our guide Yasser made the tour very enjoyable and taught us a lot about the city. 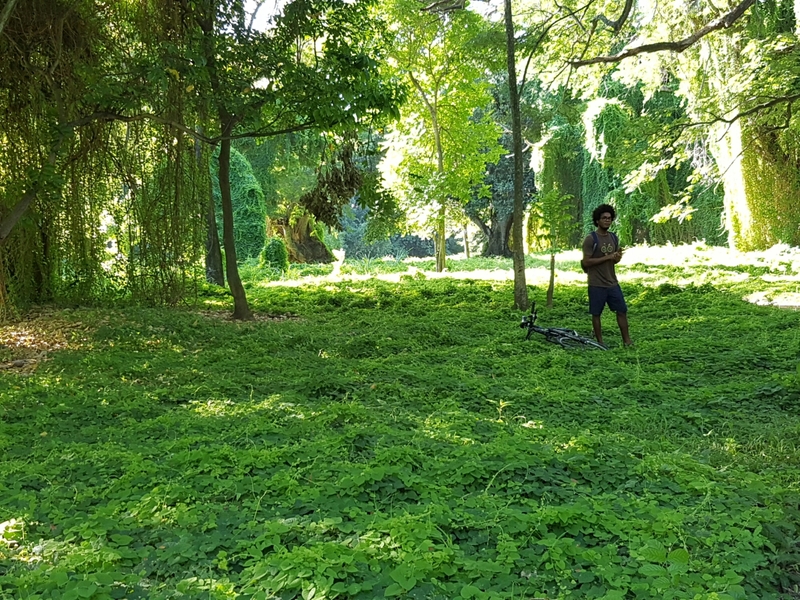 The tour started with a ride through the lush and green Havana forrest, we then went to the 3rd biggest cemetry in the world that is based in Havana. From there we meandered through the colorful neighbourhoods of the old town, and lastly we biked down the Malecon. I will write a detailed piece about the bike tour soon. I can,however, only urge anyone that gets the opportunity, to take part in the bike tour. Our guide Yasser giving us some knowledge about the forrest of Havana. The bike crew at the Plaza de la Revolucion. In the evening there was a culture exchange, at Erich’s house. Erich is a German expatriate that has lived in Cuba for the last 20 years, he is a Cuba expert in his own right. Students asked questions and talked to him in the comfort of his home. Today the summer school was in full swing. Students bustled into classroms at the economic faculty of the University of Havana to attend their courses. 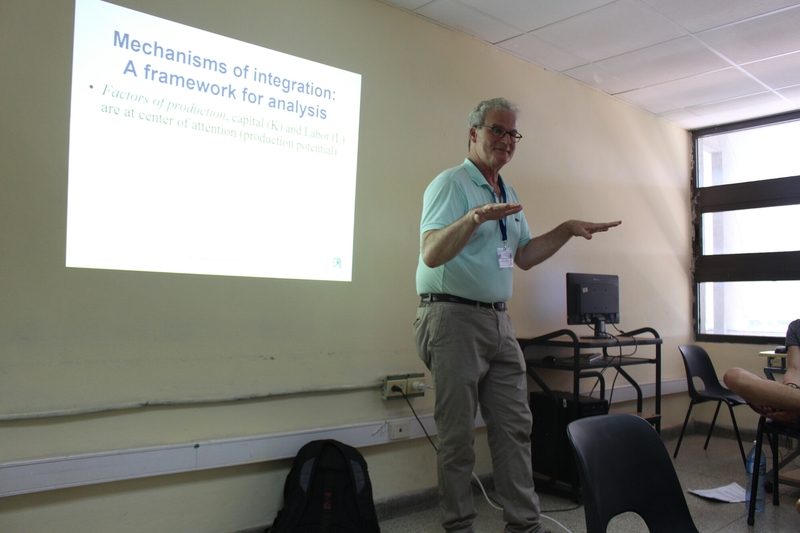 The courses International Economic Integration** and Panel Data Econometrics also started today. Some classes were filled up and therefore it was quiet hot, however, there is no need to worry as of Wednesday the classes will be held in the cool new rooms of the Habana Libre. There was also a bike tour today. For those of you that missed to register for it, no worries you can always register for the second tour that will take place on friday. Today was also the official welcoming party for the alumni. I can only recommend students to come into contact with the alumni; they speak very good german and are always happy to share stories, talk and give tips. There are daily alumni functions taking place that students can also participate in. It is really worth it! There is a lot that can be learned from the older generation. ** For those of you who are very interested in the topics discussed. Check out Prof. Burda’s Youtube channel, where the complete course is available in English. ​The summer school has not yet officially started, however, the first alumni and students were already early and ready to register for the courses. 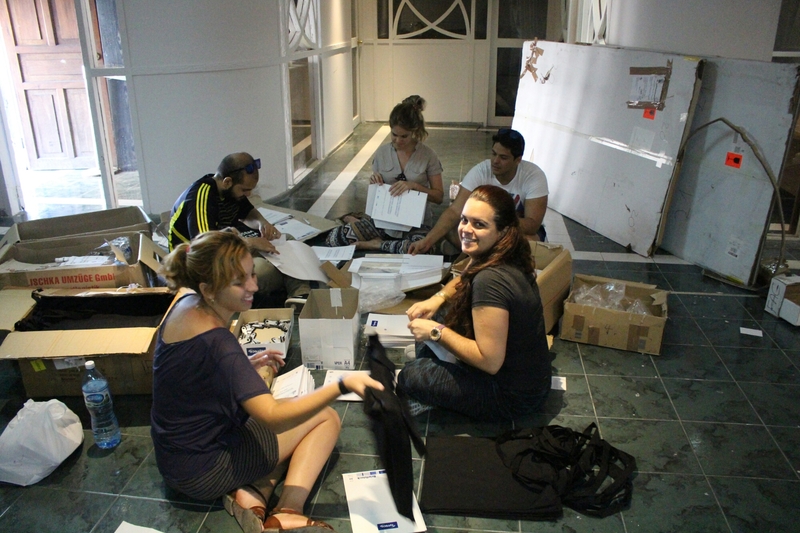 The ISSEM organisation team was already prepared to welcome this year’s participants. New and old faces came together, kisses were flying in the air and smiles were exchanged. Stories from the past were reheated, and current affairs were discussed as well. The alumni in particular were very open to share and tell us what they had been up to. It felt like all these people were eager to be a part of something that they had been a part of before- in another time and place. Bags are all packed, finally. and it all fit in! I have had nightmares about packing for the last few days. I am just glad that it is over now! So tomorrow at 12 i leave for Cuba, i am excited. A few days back i had cold feet about the whole thing. I mean yes at first you get the acceptance letter then you book your flight and get even more excited. However, the closer the date comes the more it starts to sink in. I am going to Cuba. I am going to Cuba. I-AM-GOING-TO-CUBA!!! suddenly i am no longer excited but scared, what if this happens? what if that happens etc etc. I went out to a cafe yesterday and sat myself down to have a small moment of peace. A woman was sitting beside me and was really digging into her sandwich. She had her laptop wide open and did not take her eyes off her screen.She was just reaching for a tomato on her sandwich, when i started talking to her. I dont know, there was something sympathetic about her, maybe the way she ate her sandwich, reminded me of myself. I told her that i was starting to have cold feet, going to Cuba and that i didnt really speak spanish…etc etc. She then went on to tell me that she moved to Berlin 2 weeks ago from Italy and that she does not speak a word of german. She told me that she was excited at first too, and that as the days dawned closer she was starting to get cold feet as well. She even recalled another similar incidence. So, what i am trying to say is that it is totally normal. Its ok to get cold feet, and there is no point in trying to act cool about it ( no pun intended). However, we are all going to Cuba as a group, and the ISSEM team is also always there to support you. So there is nothing to be worried about. This will be a great experience! Dont stress about it all, even if you do not get to see everything on this trip. Be happy, because that means that you will have a reason to return sometime in the future to Cuba, and see the bits that you didnt see this time. So, see you all soon and till then have a safe trip and enjoy this experience and adventure! I am the kind of person that listens to all kinds of music. Growing up my father told me all the stories of his time through songs and instruments of his generation. I believe strongly that music is something that can give people a feel for how things are or were in a certain place and time. I made a playlist of the musicians that have to be “known” in 2016, according to the Fader. I compiled a playlist, so that you guys are also in the know of what artists are hot and popping in Cuba. If you enjoy the music , give the artists a follow on Soundcloud and support them. This is the perfect playlist to listen to on your way to Cuba or just in the Ubahn. My personal favorite on the list is the Dj and producer Wichy de Vedado and Dj Jigüe. Comment below who you found interesting , or who your favorite cuban musician is. Would love to hear from you.